The Visitor Studies Association (VSA) seeks to foster a sense of community among colleagues, who gather once a year to pose intriguing questions, explore diverse opinions, debate controversial issues, challenge assumptions and share their successes and their struggles—in essence, to learn from one another. Join us July 19 - 21, 2018, in Chicago, Illinois, for a Joint Conference with the Association of Midwest Museums! The informal learning field has long grappled with questions like “how do we remain relevant to our communities?” and “what is our value to society?” However, the geopolitical, social, and environmental events of the last several years have made these questions particularly urgent ones, and we are beginning to see more and more institutions actively reckoning with the need to respond. As many organizations turn inward and seek to protect their interests, we are reminded that places of informal learning are perceived as offering more trustworthy information than most other entities, particularly in a climate of uncertainty and polarization. Meanwhile, our institutions are also well-positioned to offer experiences that not only engage people intellectually, but also promote empathy and understanding to help bridge the widening divides between us. Right now, there is a greater opportunity and need for informal learning institutions to strengthen our position of public trust. We can do this by finding ways to maintain transparency, foster dialogue with the communities we serve, and ensure that we respond to those communities authentically and responsibly. At the same time, our organizations must also interrogate the ways in which and the extent to which their choices about collection, interpretation, collaboration, and governance have earned--or jeopardized--the trust of many diverse publics. For this year’s conference, AMM and VSA invite our respective memberships to work together to answer critical questions about how, across a range of accountabilities and circumstances, we can fulfill our institutional missions with renewed perspective, rigor, and courage: How are informal learning institutions uniquely positioned to leverage public trust, and what responsibilities come with that role? How are informal learning institutions uniquely positioned to leverage public trust, and what responsibilities come with that role? How do the missions and visions of informal learning institutions support -- or not support -- public trust? In what ways are institutions accountable to various publics? 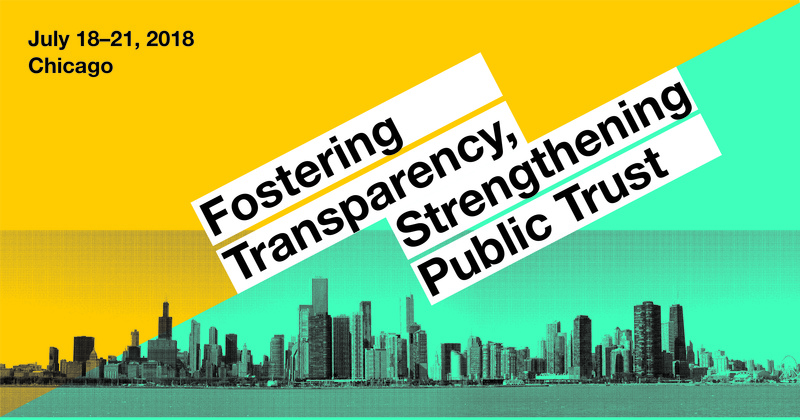 What are successful models for building public trust in terms of strategic directions, institutional decision-making, and planning for sustainability? How does public trust in informal learning institutions affect audiences’ expectations for and takeaways from interpretation? How are museums and other informal learning institutions using their resources and collections to help their communities make meaning of locally important issues? When and how should informal learning institutions take a stand on polarizing or controversial issues? What effect might this have on public trust? What do we need to know about our target audiences to communicate with them in ways that are understood as trustworthy, responsible, and appropriately thorough? What strategies can informal learning institutions use to respond to community - and even nationwide - concerns? What steps can informal learning institutions take to better position themselves as visible, trusted resources for authentic collaboration with community members? How can informal learning institutions more effectively build partnership and trust with audiences who have traditionally been excluded from informal learning spaces? To access and review the 2018 VSA Conference Schedule at a Glance, VISIT HERE. To download the 2018 VSA Conference Abstract, CLICK HERE. To download the 2018 Conference program book, CLICK HERE.